Coaching both pro's and age groupers, Accelerate 3 athletes have a long history of placing in the top 10 overall in 70.3 and IM races around the world. They have won medal's at the ITU Age Group World Championships (3G,1B), 70.3 AG World Championships (1G), Ironman World Championships (1S, 1B). A3 athletes consistently place in or win their AG at IM, 70.3, world and national level events. 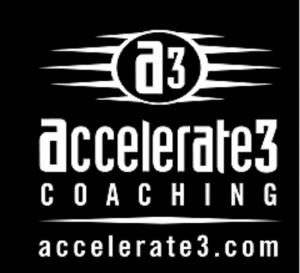 When your serious about going faster Accelerate 3 Coaching is the place for you. Brian received his Exercise Science degree from East Carolina University with concentrations in both Health and Human Performance. He has been coaching triathletes for nearly 20 years. He cut his teeth coaching age group swimming and has also coaches masters swimming, bike racing teams, cyclists and runners. Success. Coach Brian Stover has been notified of your message.